Our impressive range of mirrors offers a great choice for you to accessorise your home. 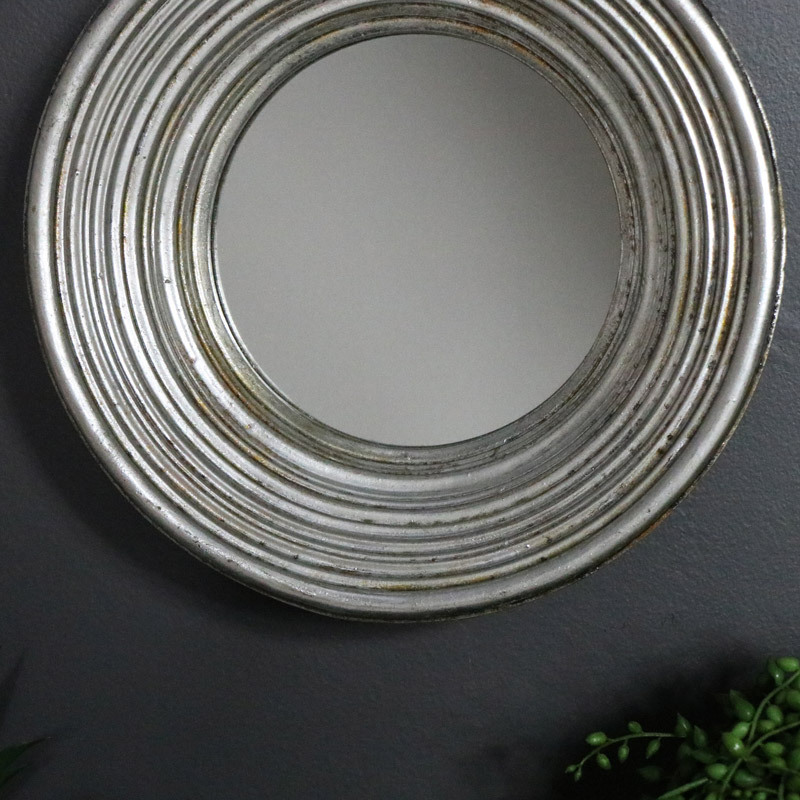 This mirror comes in a rustic silver finish that will be perfect for displaying in the living room or hallway. 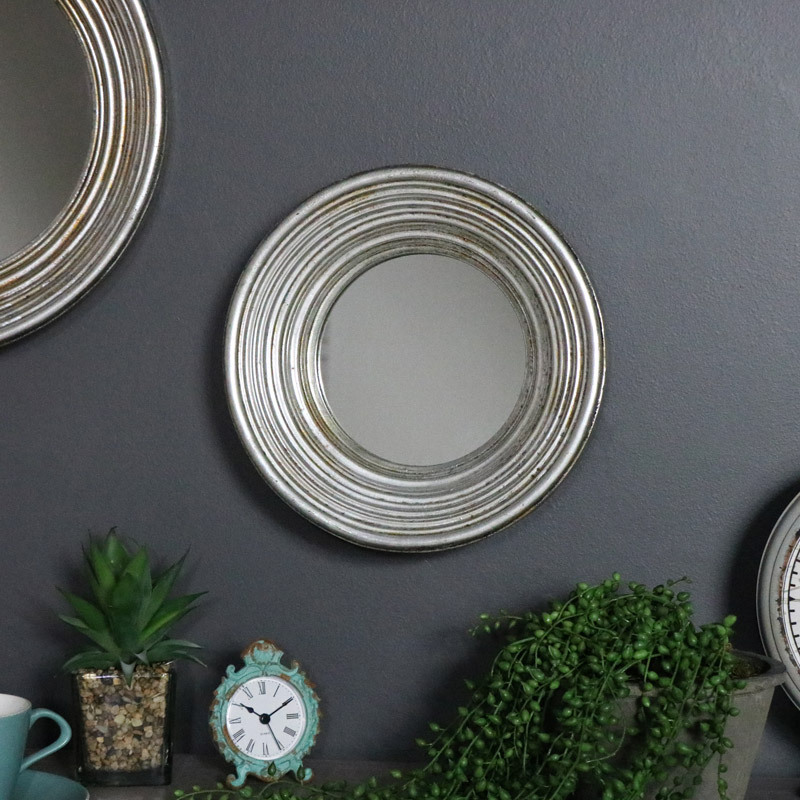 Designed with a circular mirror deep set in a round rimmed frame painted in antique silver with rustic, gold distressing. This mirror is just one of many mirrors that we have to offer with something for every home and interior style. Thick resin frame, painted in an antiqued silver finish with gold distressing. Easily wall mounted with a hook on the back for hanging. Our wide selection of mirrors offer the perfect choice for any home. With extra large wall/leaner mirrors to the small and tabletop and floorstanding chevals with colours and finishes to suit every interior.